Thank you so much! Keep an eye on your inbox for the welcome email with a link to download your free wallpaper. So excited to connect with you! 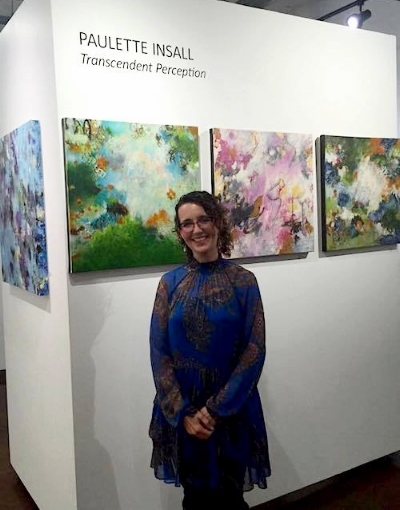 Award Winning International artist Paulette Insall at her gallery exhibition in Portland, Oregon's prestigious Pearl District. I see beauty as an invitation to savor life and a way to experience a sense of the eternal. My purpose is to impart joy and truth through creating beauty that resonates in the soul. Once you fill in your email address and click the "Download Now" button above to get your free wallpaper, be on the lookout for an welcome email that contains your download link. Be sure to open my emails when you see them or you may miss out on something super special reserved just for my special club members. See you inside!